With energy in high demand and non-renewable resources in increasingly short supply, it’s no wonder that more and more companies are becoming interested in clean, renewable solar energy. Some have put the potential of solar energy to inventive use by integrating them with some very unusual and attention-receiving devices. Here are some of the most inventive solar-powered designs on the marketplace. The Solar Impulse, a completely solar-powered plane, made a 2013 flight from San Francisco to Phoenix, Arizona in eighteen hours. 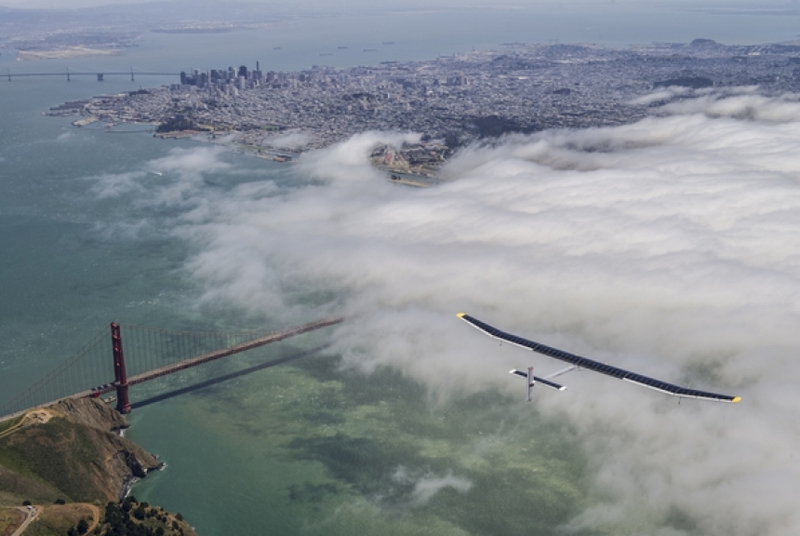 Weighing only 1.6 tons, the Solar Impulse has already made a longer flight at 26 hours, and its creators plan to fly the plane around the world in 2015. The plane’s lithium-ion batteries store the solar energy that its 12,000 solar cells collect during the day. The Sun-Cutter is a solar-powered laser cutter that uses sunlight to cut out programmed shapes and make physical objects. 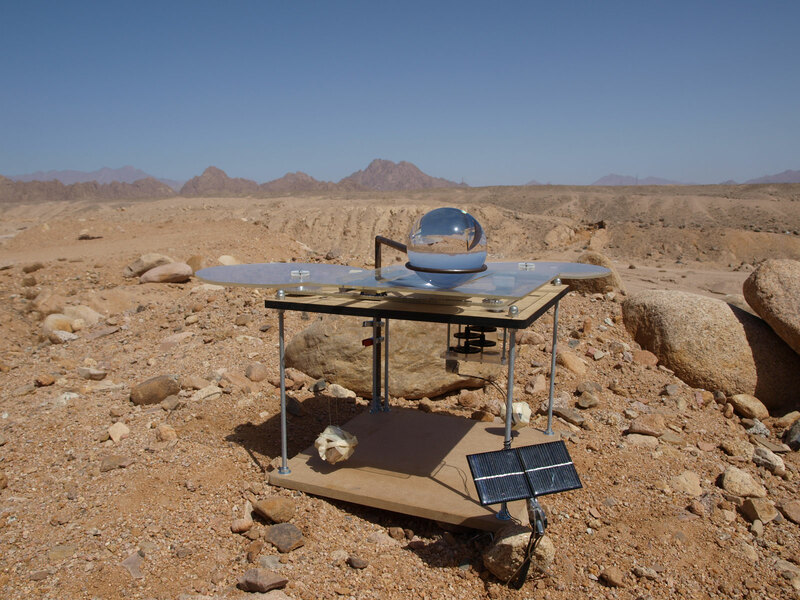 The device uses a ball lens and a camera to cut objects out of plywood, using a small automatic solar-powered motor. A high-tech successor to the Sun-Cutter, the Solar Sinter is a full 3D printer powered entirely by solar energy. 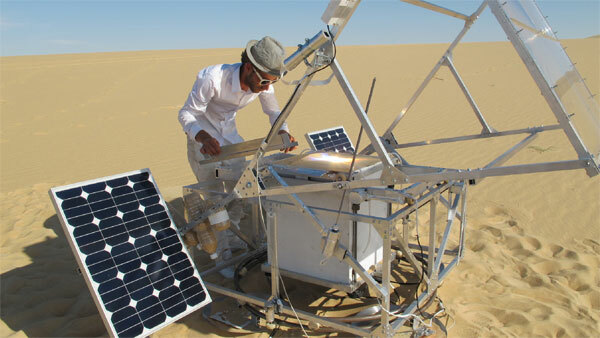 Capitalizing on the abundance of sand in desert environments, the Solar Sinter uses silica heated to the melting point to produce glass, allowing the Sinter to create glass objects out of common sand… using no energy but the sun. Made by Yanko Design, the solar-powered camera strap was created to press the venerable camera strap into dual purpose — both steadying and securing the camera, and powering it using solar cells built into the strap itself, bypassing the need to carry extra batteries or find an outlet. 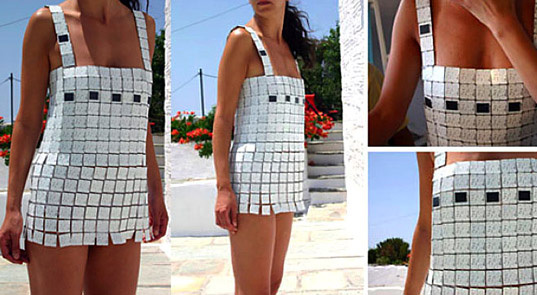 Speaking of solar-powered attire, the Day-For-Night Solar Dress by Studio 5050 is made up of over 400 circuit-board tiles containing either solar cells or LEDs. The black tiles on the dress are actually solar cells that can power the LEDs on the dress, giving the wearer a chance to literally light up a room. Another product of Yanko Design, these solar-powered sunglasses don’t just keep the sun out of your eyes — they repurpose that sunlight to keep your devices charged. 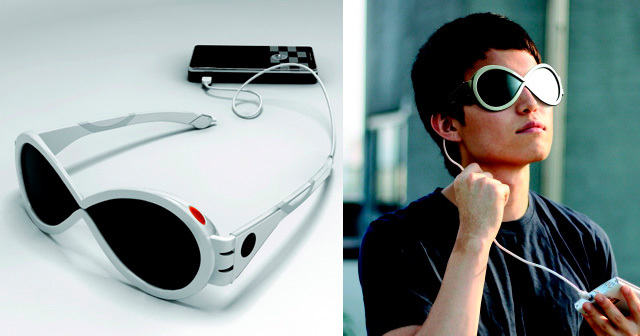 The sunglasses are designed to let through the visible rays, while using the solar rays into energy that can be accessed via a power jack in the glasses’ frames. 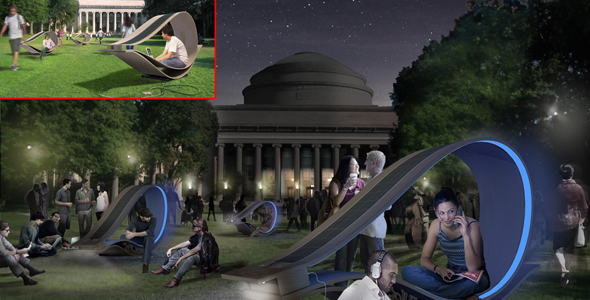 Designed and produced by MIT in the United States, SOFT Rockers were designed to meet the needs of busy students who needed to charge their devices, but still wanted to get some sun on the campus quad. The Rockers are wood-detailed furniture with a thin, revolutionary strip of solar panel on them, which can fully charge small devices in only a few hours. Best of all, they’re both beautiful and functional. Created by the Turkish furniture company Hanmak, FOTON furniture is solar-powered, illuminated public furnishings — benches, chairs, and other devices — created to raise awareness of sustainable and renewable energy. The furniture’s solar batteries soak up sunlight during the day, and at night, create colorful illumination in public spaces. If solar-powered furniture isn’t impressive enough, how about a solar-powered device that makes furniture? Created by Austrian designers, this furniture-making machine spins large spools of threads into operational furniture — stools, benches, even containers. Article contributed by Sydney Michaelson, a writer for Design55Online.co.uk.